Everybody has at least one Now compilation in their record collection, don't they? I think my first was Now II - which featured Queen's Radio GaGa, Nena's 99 Red Balloons, and The Politics Of Dancing by Re-Flex (??!)). The last one I ever bought (on vinyl) was Now 22, containing Snap's Rhythm Is A Dancer, Take That's It Only Takes A Minute, U2's Even Better Than The Real Thing, and Carter USM's Do Re Me So Far So Good (???!)). Most people don't realise that, for copyright and licensing reasons, the albums get deleted three months after they come out - which means there's a huge collector's market for the early albums, particularly on CD. 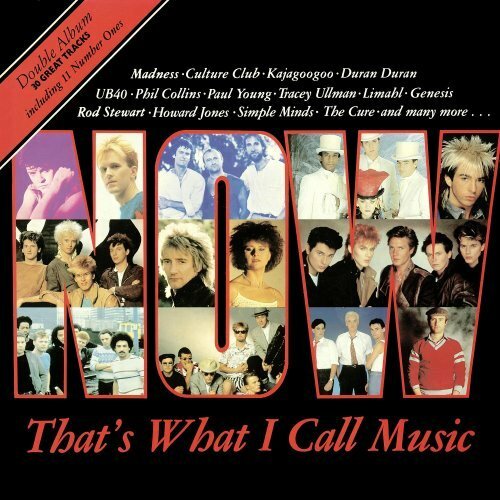 Of course, Now wasn't the first Top 40 compilation album - I remember one called Chart Trax that had Blondie and The Buggles on it - but it is the most enduring, seeing off competition from the likes of Hits and the Deep Heat collections. If you're interested in the history of the series, there's a great interview with the man who has compiled all 71 Now albums on the guardian website.